Last week I was in Brussels visiting the headquarters of cloth merchant Scabal. They moved buildings two years ago and now have an attractive, open-plan space on top of their warehouse. That warehouse stores a lot of cloth. Most of the people are responsible for cutting it up and sending it to bespoke and MTM clients around the world. But there is also a large group dedicated to making swatch books (or bunches) – the samples of cloth that customers can pick from. It’s quite a labour-intensive process. Cloth must be cut up into little rectangles on a press. 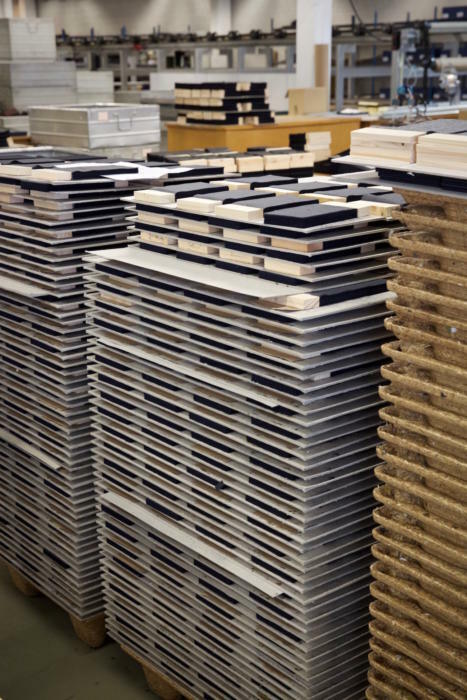 Thick glue is used to bind these swatches to a piece of wood. And one person puts a little sticker on each one, to identify it. She does them all one at a time – with a pair of tweezers. The answer is control, and to an extent service. 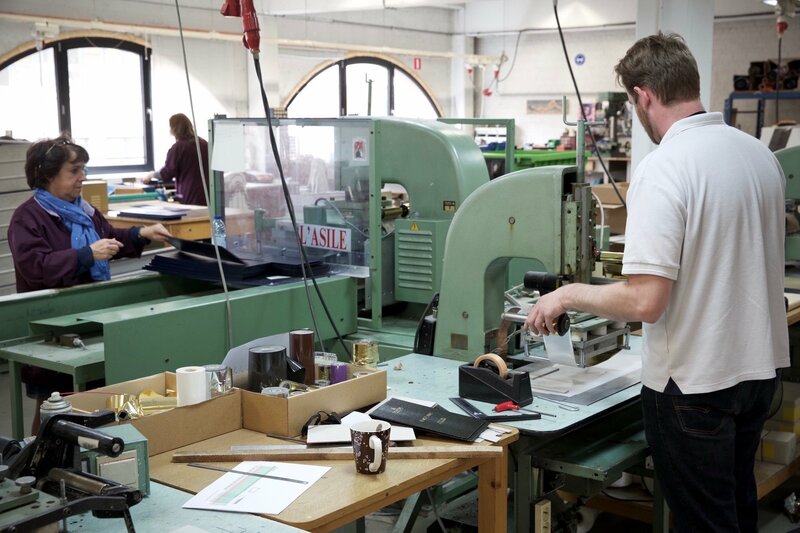 Although swatch books might seem an odd thing to employ people to make in the middle of Brussels, it allows Scabal to do small runs, to personalise bunches, and to apply more levels of quality control. This has parallels with the theme that runs through most of my visit: the role of the cloth merchant. The role of a merchant, like Scabal, is a harder one to empathise with. Don’t they just store the cloth and send it out to clients? Isn’t it just logistics and customer service? Part of it is about service. 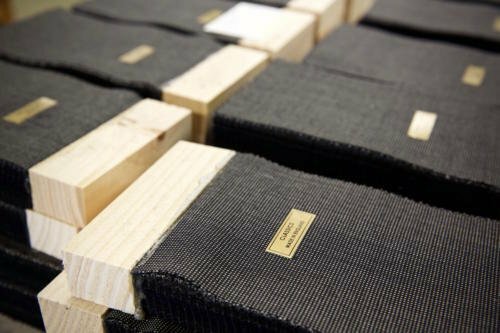 The fact Scabal re-checks every piece that comes in (even from its own mill, Bower Roebuck), for example, or the fact that it invests a lot in stock, so that it can guarantee a piece will never run out. But there’s also design. Scabal designs 600-700 new cloths every season, across the various weights and categories, with a total book of 5000. Walk into Scabal on Savile Row – or in Brussels or Paris – and you can find anything from the super-number worsteds it is known for to heavy Irish linens, all designed by the same team under Michael Day, and all of which the salesman should be able to pick from and recommend alongside each other. If that’s your aim, it’s easier to see why you make your own swatch books. Plus Scabal invented them, back in 1938, which is a nice reason to carry on doing it. 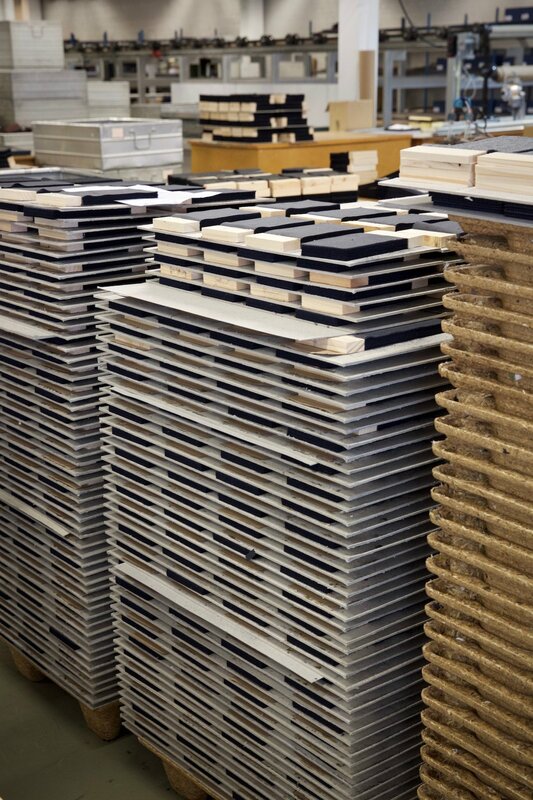 You can follow the discussion on Scabal: Why make your own swatch books? by entering your email address in the box below. You will then receive an email every time a new comment is added. These will also contain a link to a page where you can stop the alerts, and remove all of your related data from the site. Is Scabal still independent and do you consider it as British nowadays? Also where would you place it amongst Holland&Sherry, Dugdale, Dormeuil, Harrison of Edinburgh in figures and share of the bespoke market, if that question makes sense? Sorry, that part of the picture is still a little muddy for me. Thanks, pleased you found it interesting. It’s not the biggest area in the world, but I find it fascinating. Scabal is owned by the management, yes (Gregor and his father), so family-owned. And in terms of scale they are similar to Holland & Sherry, a bit bigger than Dormeuil, and a lot bigger than Harrisons/LBD or Dugdale. As with most merchants of this size, though, most of their business by volume is made to measure (around 70%) rather than bespoke. Have a look for my piece on Huddersfield mills too, if you want more info. Hi Simon, it never fails to amaze me that many of the cloth manufacturers don’t have better websites. In this day and age quality digital photography is both technically and financially accessible and so it should be simple to show many of the cloth books you describe online. 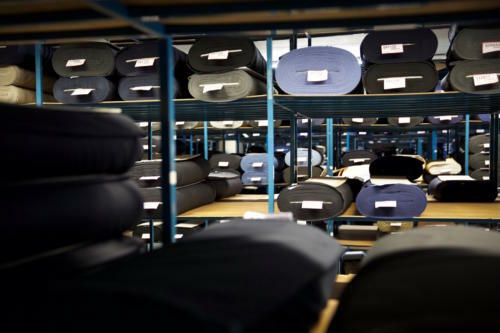 I often find the huge range of fabrics offered by my tailor bewildering and would very much appreciate having a chance to view some of the cloth designs and weights online before my visit. Nothing will substitute touching the cloth, but a comprehensive cloth manufacturers website would help refine which type of cloth is of interest. I would also add that the Harrisons website already does this. Simon, cloth manufacturing aside, what’s your opinion re. the quality of Scabal’s tailoring? Simon…are they not an English firm…if so why HQ in Brussels, unless they have multiple HQs. On the point DE makes, I agree it would be nice to see things online. I guess you can do it on the H&S and Scabal sites but the user experience is not as convenient as on the Harrisons site. I will add that seeing swatches online is only part useful though. What I find almost always is that lighting distorts the real feel and it looks different when you see it in the flesh, and personally I feel there is no substitute to holding a swatch in your hand and seeing what it looks like out in the sun. Yes, it’s very important to know where about (i.e mills and merchants) the fabrics we deal with come from. For instance, up to now I really thought Irish linien could only come from … Ireland! Sorry for my ignorance despite years reading PS! Now do you think, from the perspective of PS readers – mostly starting to building their wardrobe, and thus investing first in hard wearing fabrics – , whether it’s possible to tell which merchant(s) provide(s) the best fabrics for AW (flannel, tweed, etc. ), and which the best for SS (hopsack, … Irish linien, fresco, etc.)? As you guess, if this could be done, even roughly,, it would be tremendously helpful! I was recently given a light blue printed silk tie with a small repeating pattern in white as a birthday present. Now since this was a present (and for the giver quite an investment) I feel obliged to wear it. However I find it incredibly difficult to match. It always weakens the outfit and gives me a feeble, timid, even shy look. Could you advise? If it helps I’m looking “nordic” and work in a semi-conservative office, so both suits but also a lot of jeans/sportsjacket/cachemire/woolen ties going on. Thanks! Hey Magnus. Have you tried with a white shirt and navy suit, then perhaps other suits, say mid-grey? They would be my default choices.